Congratulations on taking your first step towards positive ageing! As we enter our 3rd age, it is important to maintain a positive mindset to achieve overall well-being. After all, life is about cherishing each moment and living it to the fullest. If you are wondering how you can improve your well-being, you can begin by using the C3A Positive Ageing Toolkit. It is a simple toolkit to help kickstart, boost and chart the progress of your wellness levels over time. 1. Click here to download the Welcome letter as a PDF file. 2. 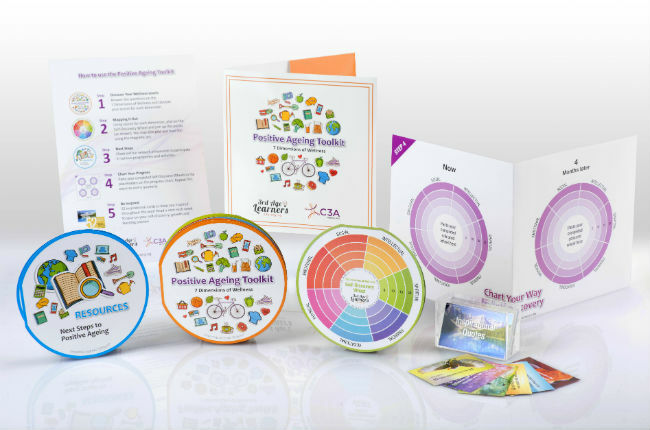 Click here to download the instructions on "How to use the Positive Ageing Toolkit" as a PDF file. 3. Click here to download the Positive Ageing Toolkit as a PDF file. 4. Click here to download the 52 Inspirational cards as a PDF file. To download all, please click the button below.